Our Engineer will custom design FRP or Thermoplastic products to meet each Customer's specified requirements. Customer specifications are reviewed and engineering calculations performed for each job. Design of pressure vessels, piping, ducting, fan housings, and custom applications. We use the Tri-Lam program safety factor ensuring that your equipment will provide you with many years of service. Inspection and evaluation of new production components, as well as in-service equipment for continued service. 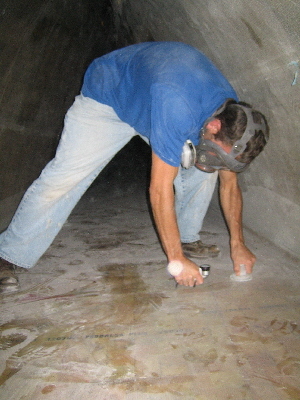 Inspection services for the industrial application of corrosion resistant fiberglass tanks, vessels, ductwork and piping. We are OSHA certified with 20+ years of experience in the FRP industry. Material verification as well as quality of your new equipment as well as periodic inspections is paramount for a long service life. We will come to your site and help you set up your new equipment to maximize your efficiency. In addition to setting up your equipment we can also train your employees how to use the equipment in the most cost effective way.